I watch my neighbor leave for work every day at 8:30 a.m. I wave good bye to her when I'm outdoors sitting on my patio eating breakfast, occasionally yelling at my kids. Yes I stay home with my kids. At the same time, I have already been at work for the past hour or more. I am in a unique percentage of women who don't get enough credit. 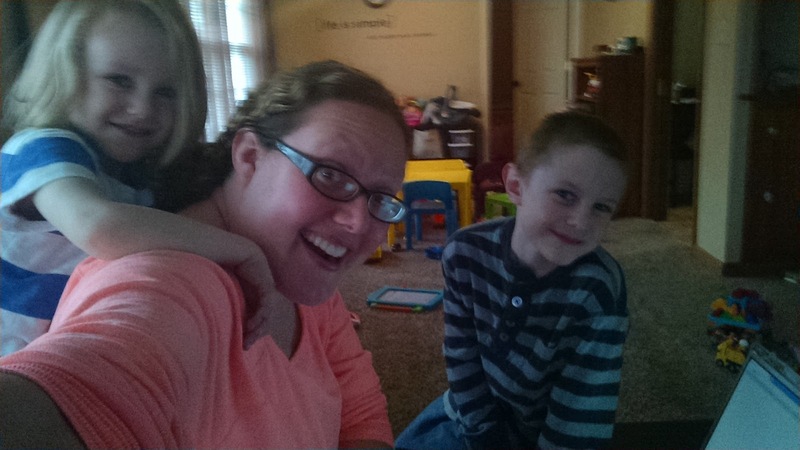 I am a Work At Home Mom (also referred to WAHM for the rest of this article). I have gone years being a WAHM and still not quite sure who I identify with. I have to get up every day and "go to work" even though work is in my own home. I work 40+ hours per week and know what it's like to have little time in the evenings to do the whole 'dinner, bath, and bed' routine. I know what it's like to finish my day working and then have to worry about getting dinner ready quickly. I know what it's like to have to "quickly" run to the store but have no time to go. All my full time working mommas out there; I get you. I feel you. I'm exhausted right along with you. I can't put myself in a category with you. You tell me how you hurt that you aren't with your children all day, you miss them. You have to wake up and get ready for work. You wear business suites and lipstick. Some days I'm a little envious of your perfect lipstick that I have no reason to wear in the middle of the week. You have meetings, co-workers, and quick lunch runs to that great sandwich shop that I used to visit on my lunch hour long ago. You spend days with adults and enjoying adult conversations. There are some days I wish I was you and other days where I realize I am you, just in a completely different way. I spend my day chasing my kids (and possibly even yours). I've wiped them, kissed them, been tough when I've needed to, cuddled them, fed them, rocked them, and talked to them. I haven't showered because I didn't get the time. I was so tired that I slept in, threw on yesterday's yoga pants, and got to work. I saw my lipstick today when my daughter got a hold of it and drew quite the picture with it. All the while I've made time to fill out schedules, return emails, phone calls, and texts. I've filled out my spread sheets. I drank a cup of coffee at 2:00 p.m. with my favorite music playing because it's one of the simple luxuries I enjoy during the day. I've tried to take care of my house: laundry, dishes, dusting, general picking up, but somehow time escaped me. I still worry about dinner even though I've been home and in the kitchen all day. I realize when my husband walks in the door that I didn't brush my teeth yet. It's 6:00 p.m. I promptly hand over the kids, lock myself in the bathroom, and proceed to take (what feels like) the best shower of my life. By the end of the week, I'm stir crazy from being at this house all day every day, keeping up with the same routine day after day because that's what the kids need. All my stay at home mommas out there; I get you. I feel you. I'm exhausted right along with you. I can't fit into your category either. Some days I want to be you, other days I realize I am you too. Being a WAHM is not for the weak. It means two jobs, two times the work load. It means business calls in the middle of the day while you wipe a three year old who hasn't gotten the hang of wiping herself; it means making sure your phone doesn't fall in the toilet as you wipe said child, and it means hoping (praying) no one hears the flush on the other end of the phone call. It means making sure your WiFi is top notch so you can be sure to work on the computer while the kids run around the backyard. It has taken me five years, but I've gotten the hang of it. I found jobs that included my children: daycare provider, blogger/website owner, children's author (with them being co-authors of course). I'll never fit into the WM or SAHM categories because I happen to be both of those. I get the best of both worlds. I am busting out the WAHM status and proud of it. I'll complain about the early mornings and short evenings with my working sisters. I'll laugh about my ripped-in-the-crotch yoga pants and locking myself in the bathroom for a moment of peace with my SAHM status. Because that's what Work At Home Moms do.